Is your Oregon cheese green? I don’t drink milk or eat cheese for a very important reason. I don’t want to be a party to forcing a mother cow to give up her calves over and over again. Unfortunately, the production of cheese and dairy products is rarely, if ever, humane since mother cows must give birth every year and those babies are immediately taken away so her milk is harvested. Those babies are put into crates and later killed as ‘veal’. Can you imagine if your newborns were taken from you year after year — or even once. But here’s is the second reason I don’t eat dairy. The methane, ammonia, liquid or solid feces and other toxic byproducts of raising animals on an industrial scale are mind-boggling. Factory farms continuously release gaseous, liquid and solid wastes known to be toxic to humans and which destroy ecosystems (ref: EPA). 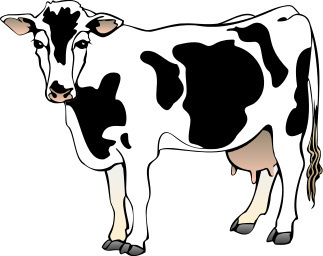 Just last week, the EPA fined two dairies in Oregon for release of waste streams into estuaries and rivers (ref: EPA). The fines were small, but bring to light how much waste is released into our environment because of dairy or meat production. An Environmental Health Perspectives report outline research on animal waste and the consequences for human and ecosystem safety. In a similar effort, The Humane Society of the US reported last week they are planning to sue 51 pork producers for ammonia emissions that were not reported as a toxic release under the EPA’s right-to-know requirement.